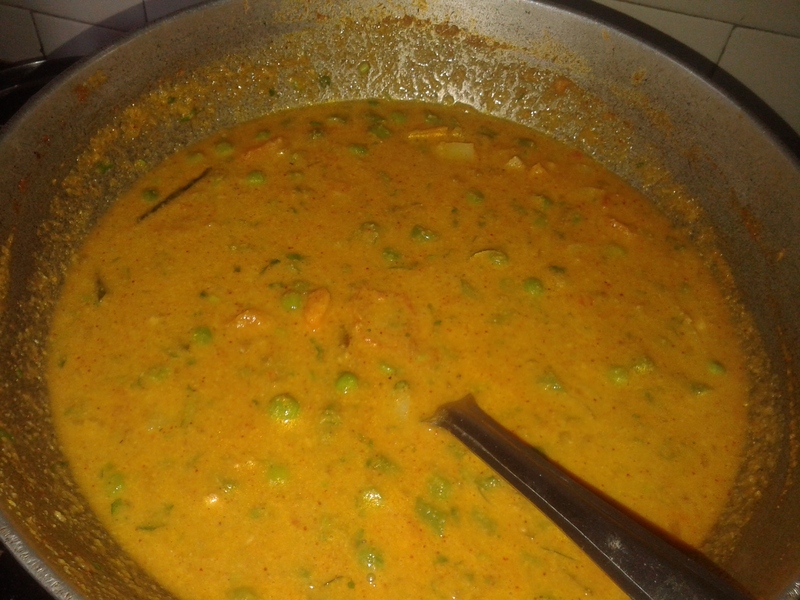 Mix vegetable Kurma is an aromatic and spiced curry made with mix vegetables. Its very famous in South India. 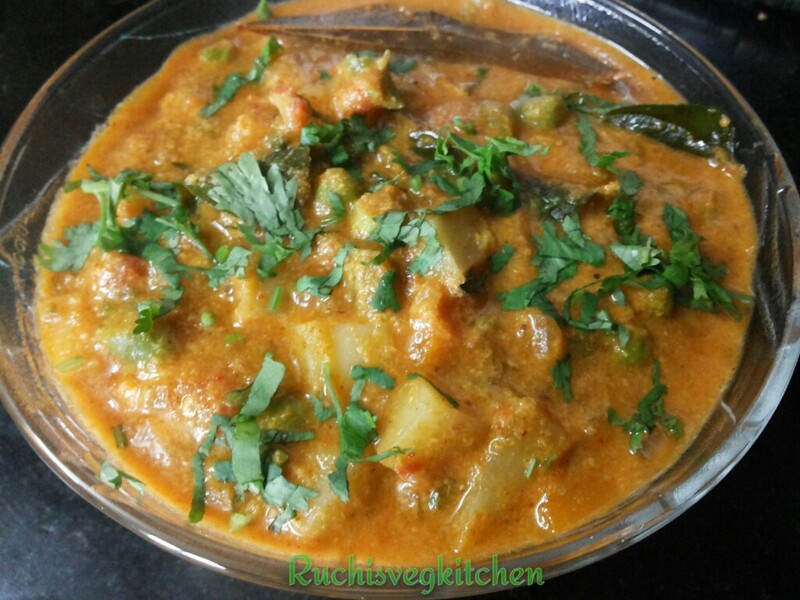 This Coconut based , restaurant style curry goes well with Roti/Poori/Rice. Friends first of all Sorry for not been posting for long, was on vacation 🙂 🙂 But take my words , i missed you all like anything afterall you all are my extended family. Life is really superb when you know people are there who love you. I am really honoured for such warm love. Thank you so much friends. Love you all. In this pleasant climate me sure all will feel to have something spicy and CHAKEDAR 🙂 🙂 Friends try this curry. Its spicy, flavourful, delicious and importantly made with just 1 TSP OIL 🙂 🙂 Now nothing can beat this,what you say !! As i always say HEALTH BHI TASTE BHI.. 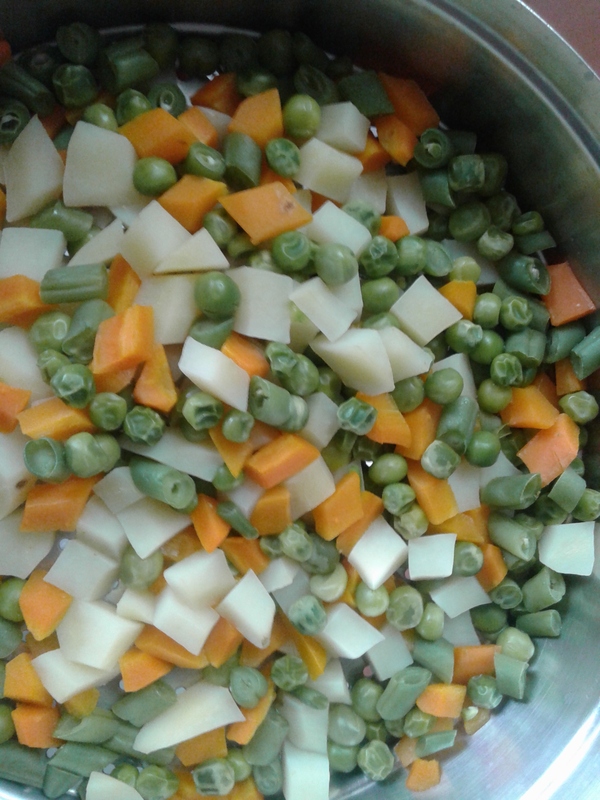 Earlier i have posted BEANS PORIYAL which is again with minimum oil and awesome taste. There are/ may many other variations for making this curry region to region. But i found this version super easy and extremely tasty. 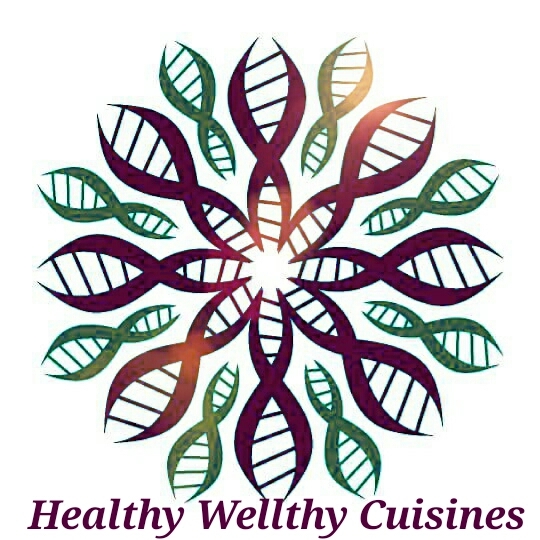 This curry taste best with Roti or Paratha or Poori and even with Rice. Here in hotels , mainly its served with Poori . Lets see the recipe now.. Boil all the vegetable with little salt. Make sure vegetables do have their crunch, dont fully boil. Drain and keep aside. Use that water in further use in this recipe. Saute tomato puree till all raw smell gone. 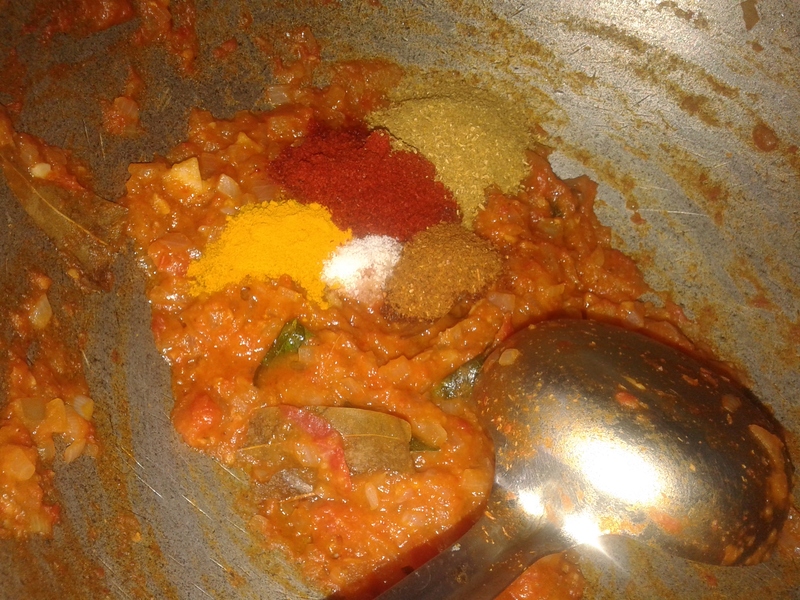 Then add Turmeric Powder, chilli powder, cumin coriander powder, garam masala, salt . Mix all nicely . 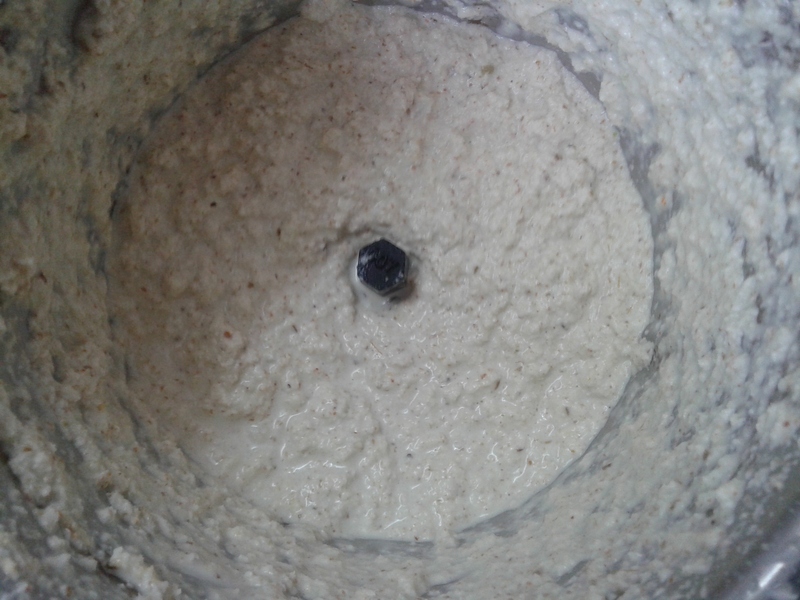 Now add coconut paste, boiled vegetables, chopped coriander and almost a glass of water. 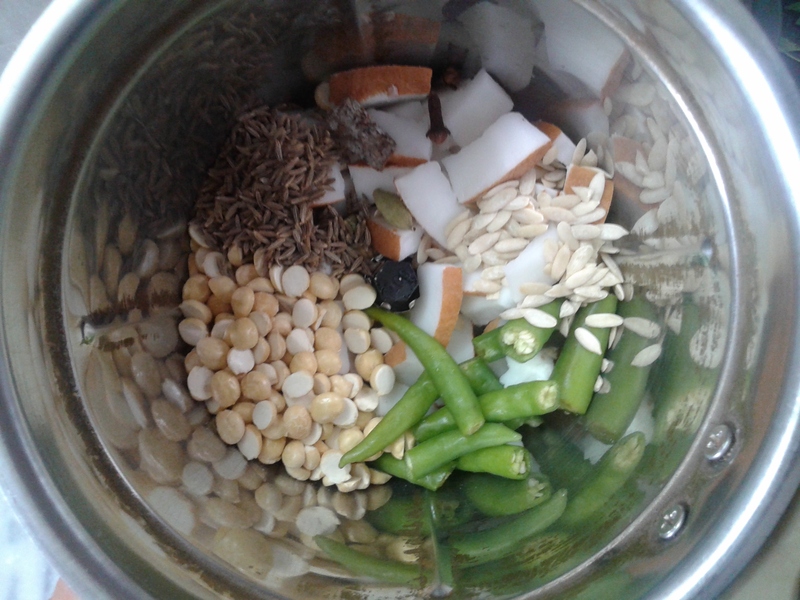 Mix well and allow it cook till everything get blend nicely. Hope you will love this delicious vegetable in such rainy days..